Whether you're planning on getting a tattoo to commemorate your fabulous vacation or you're just taking advantage of the fact that you have a few days off and getting the art you've been dreaming of for years, New Orleans ​is a great place to get a tattoo. The local shops are amazing and boast a number of internationally renowned artists. And the artsy spirit that runs through the city itself lends itself well to the very idea of body art, not to mention some more specific themes and motifs. As is the case with any tattoo, you're going to want to choose your artist and tattoo shop very carefully and make sure you're confident in your decision. There are lots of low-end joints in the heavily touristed sections of town that cater to people who are making snap decisions. 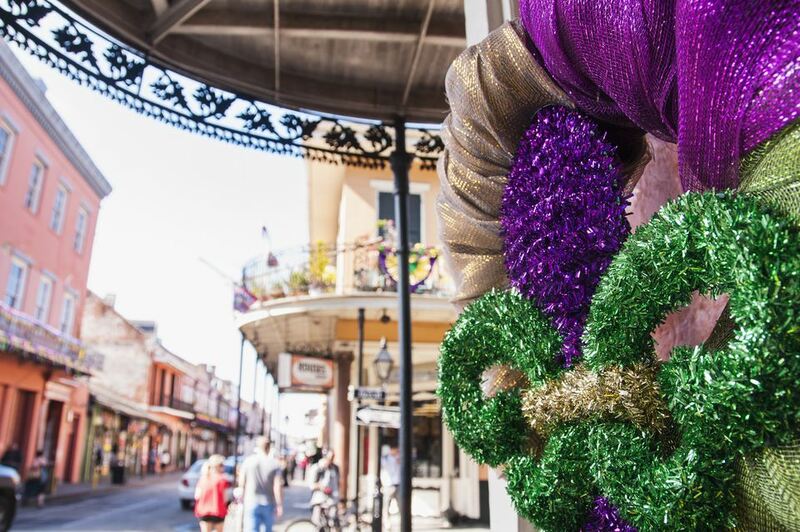 Before you find yourself tempted to stumble into some ​Bourbon Street shop, make a plan and think it through. Fleur-de-Lis Motif: This option is wildly popular among locals, particularly those of French descent and fans of the New Orleans Saints. If you're ​not a Saints fan, make sure you choose art that doesn't look too much like the specific Saints' fleur-de-lis. Mardi Gras Motif: Mardi Gras motifs include masks, beads, doubloons, feathers, and Indian imagery. Nature Motif: Pelicans, alligators, crawfish, oysters, Louisiana (tricolored) herons, and water moccasins are iconic Louisiana animals. Favorite native plant life includes camellias, sweet olive, and magnolias. Voodoo Imagery: You'll see a lot of voodoo imagery in the portfolios of New Orleans tattoo artists: saints, flowers, skulls, candles, snakes, and the like. Be sure you talk with your artist beforehand to make sure that they know what they're doing and that the art isn't offensive or otherwise dangerous. Don't get the Voodoo equivalent of incorrect Chinese character tattoos; make sure your symbolism says what you want it to. Music Imagery: Here in the birthplace of jazz (and pretty much every other type of American music), an image of a musical instrument or music notes is most certainly appropriate, as is ​Second Line imagery (umbrellas and waving handkerchiefs). These tattoo shops are certainly not the only good ones in New Orleans, and artists do occasionally move from shop to shop, so keep researching until you find a shop and an artist that you feel comfortable with. It'll make your vacation tattoo that much more memorable. By far the most popular tattoo shop in New Orleans is Electric Ladyland, smack in the middle of ​Frenchmen Street in the Faubourg Marigny neighborhood and adjacent to the French Quarter. Electric Ladyland has been around since 1991 and has consistently won just about every local award for "Best Tattoos" that anyone can remember, including the beloved annual Gambit Weekly Readers' Poll, wherein it’s taken the prize over a dozen times. Electric Ladyland's artists have tattooed celebrities both local and national, with highlights including a trumpet on the arm of hometown musician Kermit Ruffins and low points (or were they?) including the name "Angelina" on Billy Bob Thornton, shortly before that particular train went off the rails. Electric Ladyland's excellent reputation does come at a price, with a slightly higher cost per tattoo than other places around town. You'll also want to make a reservation if one of the artists particularly appeals to you —portfolios can be seen on the Electric Ladyland website. The shop also does piercings. Located right on Magazine Street in the Garden District, Eye Candy Tattoo is a clean and friendly little shop that boasts some of New Orleans' most impressive tattoo artists. These artists do everything from large-scale work to the kinds of small pieces that you're likely to choose as a vacationer. Eye Candy's hours are semi-regular, but it's best to make an appointment in advance. Browse the gorgeous portfolios on the Eye Candy Tattoo website to help you get inspired. Mid City Voodoux Tattoos is a large shop in Mid-City and known for its large and diverse team of artists. Well-lit and clean, it's certainly a safe place to get new art, and with its large crew (which includes a piercer), there's invariably someone available who has the perfect artistic style to match your taste, or who specializes in exactly what you're looking for. Walk-ins are largely available, but appointments are suggested, and deposits are required for appointments. You can view portfolios and make an appointment online at the Mid City Voodoux Tattoos website.